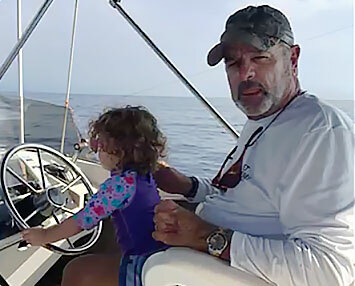 Captains Robert and wife Cyndee Hudson are winners of countless sport fishing tournaments. Call (808) 936-9515 to book one of our Kona charters today or email Captain Robert. Do you want to create your own Hawaii fishing legend? If so, join Captain Robert Hudson, a legend in his own right, as you target some of the biggest game fish in the world with Camelot Sportfishing in beautiful Kona, Hawaii. Captain Robert, son Chris, and crew have won countless sportfishing tournaments over the last 40 years, and have a reputation for attracting the BIG fish every fisherman dreams about. If you’re a serious angler, then many of the fish we catch are undoubtedly on your bucket list – from world-class blue marlin to the rare spearfish. Our Kona fishing charters put you front-and-center in some of the most productive waters anywhere in the world. Additionally, no other captain and crew in the Kailua Kona-based Honokohau Harbor has caught more trophy game fish than the Camelot. We are a family-run local Kona business, and we will cater to the needs of your family. When you fish with us, you will find members of our family are always on the boat, because family is what fishing is really all about. Call (808) 936-9515 to book one of our Kona charters today, or email Captain Robert at fishcaptain@hawaii.rr.com. 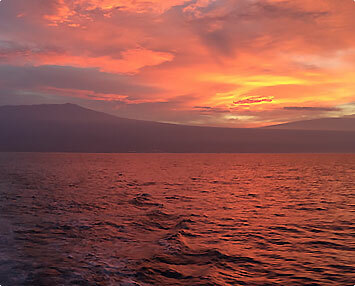 We can’t wait to show you why we are the best fishing charter vessel in Kona. We are also proud to cater to families with children, because we know how important it is to share our love of fishing with our kids. Turn any of our Hawaii fishing charters into customized adventures with activitires that include snorkeling, whale watching, or swimming with dolphins. We are also proud to cater to families with children, because we know how important it is to share our love of fishing with our kids. Even if your son or daughter has never held a fishing pole, we will give them the attention and care they need to start catching their own fish in no time. We are always professional, courteous, and fully understand how important positivity is to your overall experience. We can even fish for some of the smaller ocean dwellers that are commonly caught off the Kona Coast, so that even the youngest kids in your family can enjoy their fishing experience. 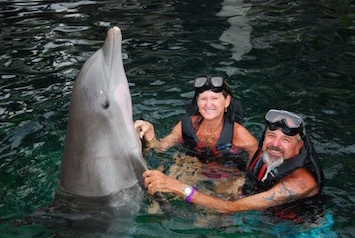 You can also turn any of our Hawaii fishing charters into a customized adventure with activities that include snorkeling, whale watching, or swimming with dolphins in beautiful Kealakekua Bay at the Captain Cook Monument. When you book one of our Hawaii fishing charters, it’s your boat for the day, and we want you to have a good time and enjoy everything Kona has to offer. Mahi mahi are fast, and they grow to some truly huge sizes off the Kona coast of Hawaii. These fish are also called wahoo, and are one of the fastest fish in the world, reaching speeds of almost 80 miles per hour. The Kona coast off of the big island of Hawaii is renowned for its deep sea, big game sport fish. Many world records have been claimed in these famed waters, and all of our Kona fishing trips offer the chance to claim another chart topper. What follows is a brief overview of some of the fish we target on our Kona fishing charters. Striped and Blue Marlin – Marlin are the granddaddy of all the big Hawaii game fish, and the ultimate test for any serious fishing enthusiast. These monsters will run, jump, and thrash throughout the battle, so it takes a combination of strength and focus to bring them to the boat. When fighting a big Kona marlin, Captain Robert will work with you, maneuvering the boat while you play the fish, constantly communicating so that you ultimately prove victorious. Mahi Mahi – Also called dolphin or dorado, depending on where you’re fishing, these beautiful fish offer a challenge on both heavy and light line. Mahi mahi are fast, and they grow to some truly huge sizes off the Kona coast of Hawaii. These bruisers commonly leap from the water in aerobatic displays that will leave your jaw on the deck of the boat. Ono – These fish are also called wahoo, and are one of the fastest fish in the world, reaching speeds of almost 80 miles per hour. Fishing for these Kona speedsters is a highlight for many people that take our Hawaii charters. Ahi – Also known as yellowfin tuna, fishing one of these brutes will test any anglers strength and endurance. There is always the possibility of catching a monster sized ahi on any of our Kona fishing charters, and this is a fish that should be on every serious fisherman’s list of must-catch species. 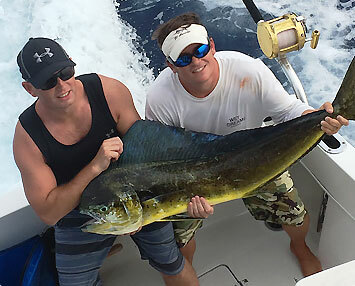 Camelot fishing charter makes it possible for everyone to enjoy their day on the water. By allowing you and your family to customize your trip with other popular Kona, Hawaii activities, we make it possible for everyone to enjoy their day on the water. The Kona coast is known for incredible whale watching, dolphin encounters, and some of the finest snorkeling in the world at the Captain Cook Monument. When you book one of our Hawaii charters, we can enjoy any activity you want, so be sure to discuss your options with Captain Robert and customize your own trip when you visit Kona. Ready to enjoy one of our custom Hawaii fishing charters? Start getting excited for your Kona vacation by calling (808) 936-9515 to make a reservation, or email Captain Robert at fishcaptain@hawaii.rr.com. There’s a reason we’ve been running the finest Kona fishing charters for more than 40 years – we put family first and enjoy every day we’ve been given on the water. Come have fun with us. 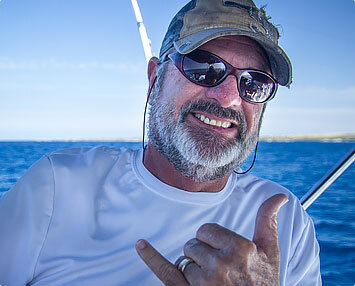 Ready to enjoy a custom Hawaii fishing charter? All successful Hawaii fishing charters start with the Captain. The fish are plentiful in and around Kona, but catching them requires experience. Robert and Cyndee Hudson are the owners of Camelot Sportfishing, and co-captains of the Camelot. Combined, these two Hawaii fishing experts have over 50 years of fishing experience, 30 of which was spent fishing the Kona Coast. For the Hudson family, fishing is a family business. Cyndee’s dad was a fishing boat captain, and their son, Christopher, earned his captain’s license in 2014. 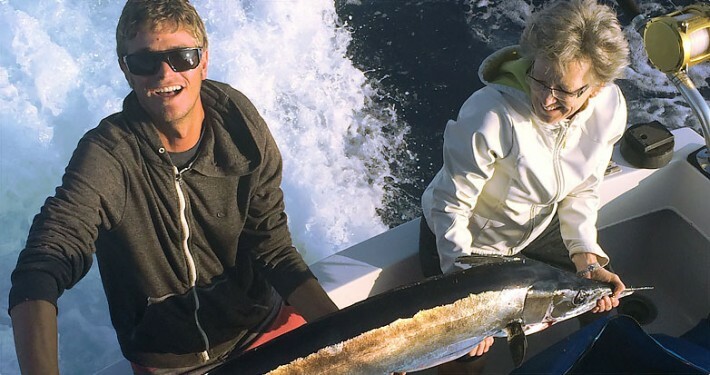 As a family, the Hudson’s have won countless sportfishing tournaments in Hawaii. This is important because the ability to win tournaments means the captain knows where to find, and how to catch, the biggest fish in the water on any given day, under any conditions. Captain Robert and Captain Cyndee consistently rank in the top-five trophy fish catchers on the Kona Coast. They put guests on big fish and get them in the boat. They take great pride in their success and it’s just one of the reasons why Camelot has so much repeat business. When you fish with us, you always have a chance of catching a true Hawaiian monster. Our biggest catch weighed more than 1,000 pounds, and there are more Leviathans out there waiting to be caught. Best of all, we cater to every level of experience. If you’re new to offshore big game sportfishing, Captain Robert and Captain Cyndee will take time to teach you everything you need to know to land those huge Kona fish. Our goal on every one of our Kona fishing charters is to make sure our guests have an incredible experience on the water and take home a picture they can’t wait to show their family and friends. We realize there are lot of ways to spend your hard-earned money when vacationing in the islands, so we make sure that you get every penny’s worth on your Camelot Hawaii fishing charter. When you’re spending money to go on a fishing charter, you’re primary concern is catching fish. One of the best ways to ascertain whether a captain is truly capable is to look at their boat. Quality captains own and operate quality boats. End of story. Think about it: A captain is a person in command of a ship. If a captain’s ship is old and run down, messy, or under-powered, how does that reflect on them? Can you trust a captain with anything less than an exceptional vessel? 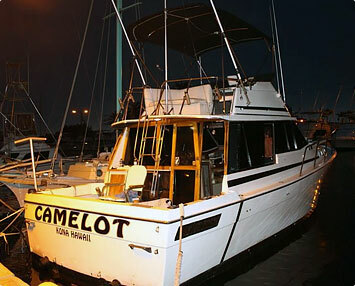 We gave our vessel the name, Camelot, which is fitting since it’s the king of the Kona Coast. It’s a 34-foot state-of-the-art pleasure craft fully outfitted for fishing success and customer comfort. With plenty of power to deal with any water conditions and enough room to make sure everyone has plenty of space to fight the big ones, the Camelot is truly something special. The Camelot also features clean restrooms, a refrigerator, an on-board cell phone, and plenty of room to kick back and rest or even lay down for a nap. We also go to great lengths to make sure the Camelot is kept in pristine condition so that you enjoy every second of your Kona fishing charter. Safety is also a primary consideration on every charter. The boat is kept clutter-free and tidy, minimizing the risk of an accident. The boat is equipped with life jackets and all of the gear needed to prevent an unexpected mishap from turning into a disaster. When you’re tethered to a fish weighing hundreds of pounds by nothing more than a hook and thin strand of fishing line, there are always risks that must be acknowledged. Our experience helps minimize these risks to ensure you go home just as healthy as you were when you boarded the fishing boat, although your muscles will probably be a little sore. Always remember these words of advice: When you’re looking for the best fishing captain, always take a look at their boat. It was in 1954 when news of a blue marlin weighing over 1,000 pounds was caught off the Kona Coast. Since then, Kona waters have become legendary for massive billfish, producing more IGFA blue marlin records than anywhere else in the world. Two or three blue marlin weighing more than 1,000 pounds are caught every year, and we can claim one of these amazing lifetime catches for ourselves. 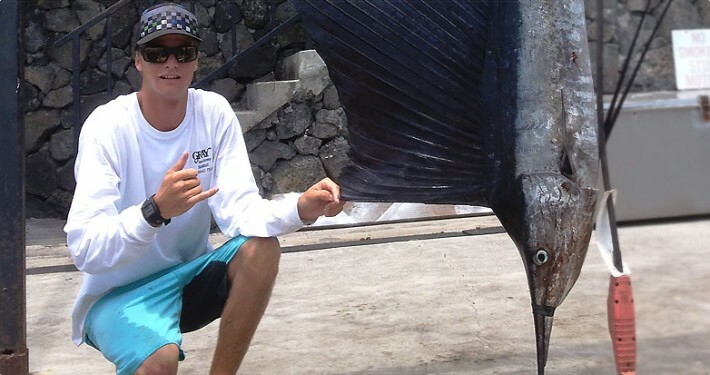 Kona is considered one of the best places for novices to catch large billfish. One of the main reasons is because we catch big billfish near the shore, where waters are far calmer than offshore. Another reason is because we catch billfish throughout the year, so you have a shot at a trophy no matter when you choose to take your vacation. Because the prime fishing grounds are so close to shore, guests on shorter charters are often able to catch big billfish. In fact, fish between 500 and 900 pounds are caught every single week throughout the year. Blue marlin made Kona famous, but we routinely catch other billfish like black marlin, striped marlin, sailfish, broadbill swordfish, and shortbill spearfish. This means you can catch every species of Pacific billfish right here in Kona, and it’s not uncommon to catch multiple species on a single Kona fishing charter. Regardless, blue marlin are the “big show” here in Kona, and with good reason. Runs are good at any time of the year because of the currents that run near the coast. These currents bring in big billfish during times of the year when other locations are struggling to find success. Keep in mind that Kona’s all time record was a 1,649 blue marlin caught in 1984 because the next world record could be caught at any time. It may even be you. We catch striped marlin throughout the year, but the best time is from December through March when we get multiple hookups on many of our Hawaii fishing charters. This is also the best time of year to catch shortbill spearfish, which some of our guests target with fly fishing gear. 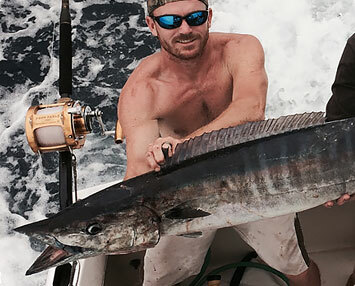 Black marlin are far less common, but some big ones have been caught off the Kona Coast. 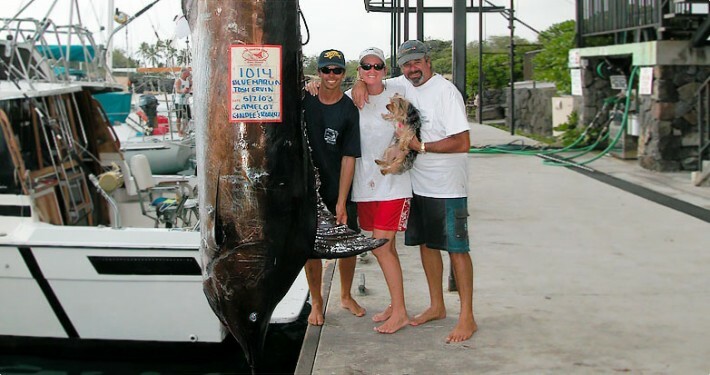 The biggest black marlin caught in Kona weighed 1,205 pounds, and a 678 pound fish was caught just a handful of years ago. If you’re a novice hoping to catch your first billfish, or a seasoned pro hoping to land a trophy fish or beat your personal best, we are more than happy to cater to your requests. Simply tell us what you hope to accomplish on your fishing charter, and we will go out of our way to make it happen. Certain times of the year can be quite busy, especially in August when Kona hosts the International Billfish Tournament, so reserve your spot today and put your fishing skills to the test. Kona is an expansive area that spans much of the western island coast. Kona is famous for delicious coffee and has a rich history that visitors find fascinating. Obviously, one of the best things to do in Kona is take a Hawaii fishing charter, but there are so many other activities that it’s impossible to list them all in one place. One of the reasons Kona has such great offshore fishing is because the waters are so calm. This is due to the fact that the winds are shielded by Maunaloa, especially in southern Kona. Kona actually means “leeward,” which refers to the fact that the area is protected from the winds so common on the opposite coast. Snorkeling and swimming in this area is legendary, and many guests are thrilled when giant green sea turtles suddenly appear from seemingly out of nowhere. 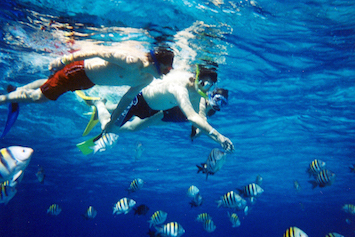 Another popular activity is snorkeling with manta rays. These gentle giants are harmless but huge. No trip to Kona is complete without a trip to the upland slopes where you can try some of our famous coffee. There’s a reason why Kona is famous for sportfishing and there’s a reason why Kona is famous for coffee. Both are some of the best in the world, so do yourself a favor and try out both while you’re on vacation. One of the reasons coffee grows so well in Kona is because of the volcanic slopes where it’s grown. This unique region creates a microclimate that makes coffee growing conditions ideal. It’s also one of the reasons why Kona is on the “dry” side of the island. While the opposite coast gets a lot of rain because of the wind, moisture is lost as rain falls over the mountains. This means Kona has great weather throughout the year, and yet another reason why it’s such a great place for a fishing charter. Kona is one of the districts on the Island of Hawai’i. In the existing administrative structure of the Hawai’i County, each district is called moku and the Kona distinct is divided into two parts: The North Kona District (or Kona ‘Akau) and The South Kona District (or Kona Hema). The word “Kona” is also associated to the district’s most populous town, Kailua-Kona. The town of Kailua is located on the North Kona District, and up to this day, Kailua still remains unincorporated. According to its 2010 census data, the estimated population was 11,975 residents. More than 2000 residents were added since the 2000 census. Kailua-Kona is the point of attraction for both the scenic and economic activities on West Hawai’i. Usually, locals would just call the area Kona instead of Kailua-Kona. However, the post office is labeled as Kailua-Kona to avoid confusion from the other Kailua found on the windward side of O’ahu island. Historically, the town was founded King Kamehameha I when he was the chief in 1795. He wanted it to be his official set of government. Eventually, Kona became the capital of the newly established Kingdom of Hawai’i. Later on, Lahaina was named as its capital. Today, Honolulu is the capital and also the biggest city of Hawai’i. You experience the town’s rich Hawaiian history through its Kaloko-Honokohau National Historical Park. Back then, there were royal fishponds in the park and it also served as a retreat house for royal family. During the 1900s, Kailua-Kona was known to be a fishing village. Afterwards, it shifted into a real estate town because of the tourism boom. The other parks in Kona are the Pu’uhonua o Honaunau National Historical Park and Honokohau Settlement, and the Kaloko-Honokohau National Historical Park. Since 1978, the Ironman World Championship Triathlon is held every year in Kona district. Every October, triathletes converge in Kailua-Kona to do series of Ironman triathlon races. In pop culture, the Beach Boys’ inspiration for the song “Kona Coast” was Kona. The song was featured in their 22nd studio album, M.I.U. Album. The mission organizations Youth With A Mission, and the University of the Nations established their first headquarters in Kona. The University of the Nations is an academic institution under the umbrella of the YWAM network. The university has branches in 600 locations and the biggest chapter are found in Kona district, Jeju, South Korea, and Perth, Australia. The volcanic hills in the Kona district provide the perfect atmospheric conditions for growing coffee beans. Samuel Reverend Ruggles first brought the world-famous coffee to the Kona district in 1828. During the 19th century, Henry Nicholas moved to the district and started his own brand of Kona coffee. His former store and farm is now considered a historical museum. Kona coffee is one of the most expensive coffees because it is considered a premium specialty coffee. Because coffee producers are strict with its quality, you can only get Kona coffee from the Kona Districts. In other parts of Hawai’i, the coffee was grown in plantations, but the coffee market crashed in 1899. Since then, the family farms continued the legacy and pursued Kona planting. Now, there are, more or less, 800 Kona coffee farms and it occupies more than 2,290 acres of land. © Copyright 2015 - Camelot Sport Fishing.